Kellogg's is the category leader for breakfast cereal in the EMEA region, with seven out of ten British and Irish families using one of its brands at the breakfast table. This includes Coco Pops, Rice Krispies and Rice Krispies Multigrain, among others. Breakfast has long been considered the most important meal of the day, and at Kellogg’s, one of the most important parts of creating great breakfast cereals is listening -- and responding -- to the changing tastes of consumers. This was the thinking behind “Better Starts,” an initiative that not only led to major changes to some of the world’s most popular cereals but also to high-profile coverage about Kellogg’s message. Cision’s Insights Team was a key ingredient in what became a hugely successful campaign. Kellogg’s EMEA team had been conducting an ongoing analysis of consumer sentiment about the topic of healthier breakfasts and better starts to the day on social media, which reflected reports coming from the media and other key stakeholders in the healthy eating space. The insights gained from the research showed the people were particularly interested in the levels of salt and sugar in food. Kellogg’s embarked on a journey to reduce sugar in their Kellogg’s Coco Pops by 40% over two years. They also reduced the amount of salt and ensured there were no artificial colors or preservatives. Similar adjustments were made in other brands, while the company also launched a new brand, a plant-based granola cereal called W.K. Kellogg. 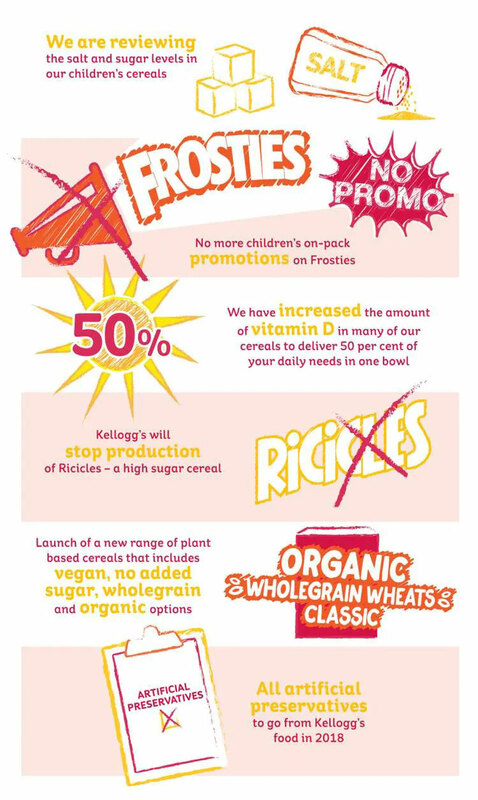 These changes were communicated through a proactive public relations campaign, dubbed “Better Starts,” that would inform the public and health officials about what Kellogg’s was doing -- and why -- across areas such as the U.K. and Ireland. “Better Starts” needed to change perception of the brand, while also reducing any barriers to purchase among consumers. 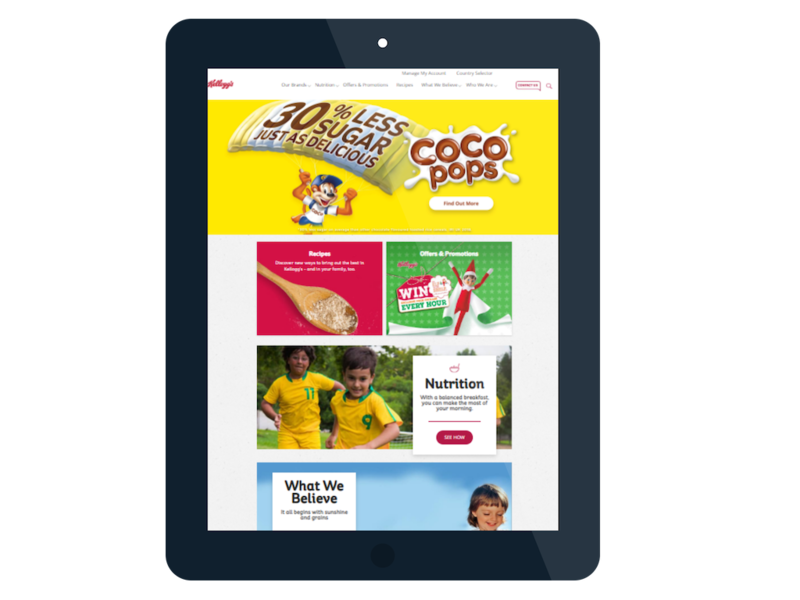 Kellogg’s has been working with Cision’s Insights team to analyze issues around sugar content in food since 2013. To help ensure “Better Starts” was successful, Cision helped Kellogg’s by developing an integrated framework that included a bespoke analysis brief with campaign-specific messages, key Kellogg’s spokespeople and important third-party influencers. Cision also co-developed an omnibus survey of 10,000 consumers with market research firm Opinion Matters to build profiles of key consumer audiences, target the right media lists and measure the subsequent reach of the coverage. “Better Starts” officially began in November of 2017, which was a deliberate choice, according to O’Neill. The team was right. In its first phase, the “Better Starts” campaign led to 563 articles with a total of 458 million impressions across the UK and Ireland, with 90% of the coverage containing the key messages, and 80% in a positive tone. Measurement That Ties To Business Objectives: “With anything like this, it’s not worth doing unless you can measure it. You need tangible KPIs if you’re going to look at really, really moving the dial,” she said. “We talked to the Cision team and used different sources to measure success, and the Cision team really tied it all together.” In fact, Kellogg’s surpassed its KPI for media impressions by 205%. Cultivating Conversations With The Right People: There’s a lot of brand love for Kellogg’s cereals, but the “Better Starts” messages became even more powerful when they were amplified through people who have great credibility with the general public. Kellogg’s has continued to build on “Better Starts” by increasing the levels of Vitamin D in some of its brands and using what it has learned and heard from the initial earned media coverage in the second phase of the campaign. Working with Cision means the company is well-positioned to continue demonstrating its leadership in food health, O’Neill said.